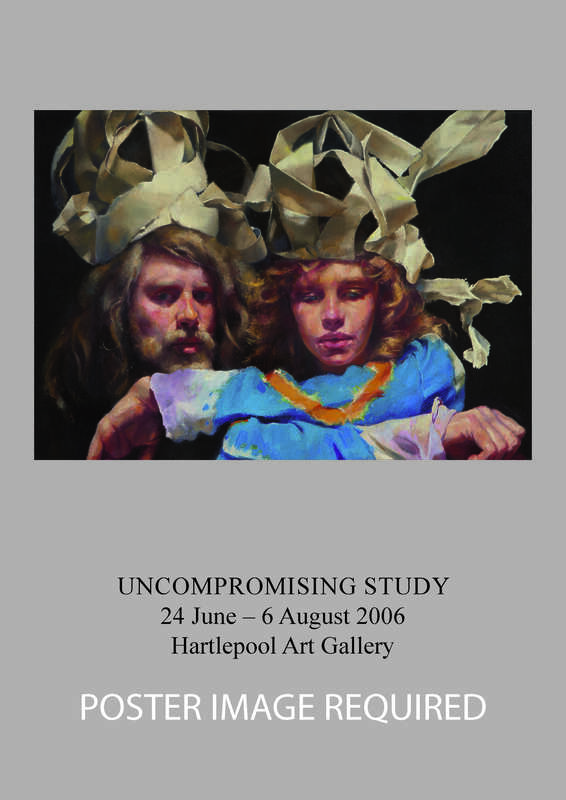 Also featured will be the Lenkiewicz masterpiece The Painter with Mary in Newspaper Magi-Fool's Hats and Shoa's acclaimed Giant Head of Ben. All the New British Realists share the same commitment to working directly from life and it is not unusual for them to spend years on one work. To quote Lucian Freud himself "the picture, in order to move us, must never merely remind us of life, but must acquire a life of its own." Ed Norton, Hartlepool Council's Exhibitions Officer, said: "The exhibition's aim is to show that there is still a modern living European tradition of realist painting going on which is totally relevant in the 21st century. It's also a unique opportunity to see the work of four giants of figurative painting displayed side-by-side. It's interesting to remember that both Lucian Freud and Nahem Shoa both had their first major solo shows in Hartlepool Art Gallery." (Hartlepool Borough Council Leisure & Culture News - 21/06/2006). Curator Nahem Shoa's YouTube video is available here.